President Donald Trump is casting aside concerns about the Federal Reserve's independence and saying he's "not happy" with the central bank's interest rate increases. 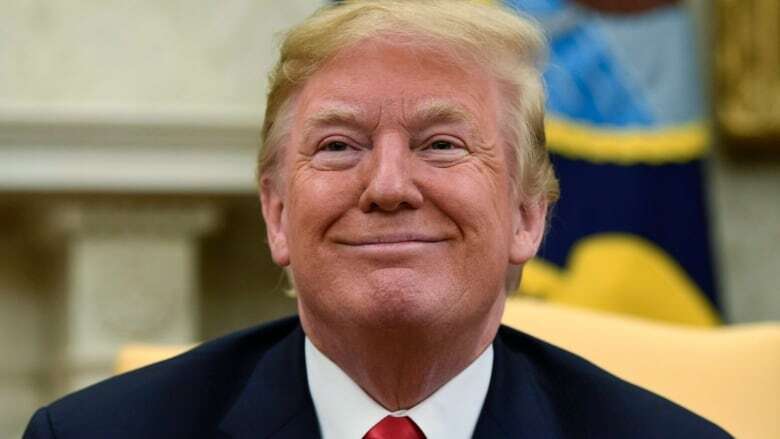 President Donald Trump on Thursday cast aside concerns about the Federal Reserve's independence, saying he was "not happy" with the Fed's recent interest rate increases. Trump told CNBC in an interview: "I don't like all of this work that we're putting into the economy and then I see rates going up." Last month, the Fed raised its benchmark rate for a second time this year and projected two more increases in 2018. Its rate hikes are meant to prevent the economy from overheating and igniting high inflation. But rate increases also make borrowing costlier for households and companies and risk weakening growth. The Fed's most recent rate hikes could dilute some of the benefit of the tax cuts Trump signed into law last year. The president acknowledged that his comments about the Fed would likely arouse concerns. The central bank has long been seen as needing to operate free of political pressure from the White House or elsewhere to properly manage interest rate policy. The Fed's dual mandate is to maximize employment and stabilize prices. By maintaining its independence, the central bank can make politically contentious decisions to combat economic challenges, like the huge bond purchases it made after the 2008 financial crisis to help drive down long-term rates to support the economy. That policy drew rebukes from many Republican lawmakers. Early this year, Trump selected Jerome Powell as Fed chairman. Last week, Powell said in an interview with the radio program Marketplace that he didn't expect to face any pressure from the White House. "We have a long tradition here of conducting policy in a particular way, and that way is independent of all political concerns," Powell said. "We do our work in a strictly nonpolitical way, based on detailed analysis, which we put on the record transparently." He added, "No one in the administration has said anything to me that really gives me concern on this front." After Trump's interview with CNBC was made public, Lindsay Walters, a White House spokeswoman, said the president "respects the independence of the Fed." "The president's views on interest rates are well-known, and his comments today are a reiteration of those long held positions, and public comments," Walters said. Speaking about Fed policy in his interview with CNBC, Trump said he is "letting them do what they feel is best." But his comments raised alarms, including with some former Fed officials, who saw in his remarks a possible effort to apply public pressure on the central bank. "I am not pleased," said Carl Tannenbaum, a former Chicago Fed official and chief economist at Northern Trust. "The remarks certainly aren't an immediate threat to Fed independence, but they break with the tradition of respectful distance." During the 2016 presidential campaign, Trump was highly critical of the Fed and accused officials of keeping rates at ultra-low levels to favor Democrats. But he also told CNBC during the campaign that he is a "low interest-rate-person."